Sage Canaday: 3 x USATF National Champ! This is an all-inclusive camp located in the Front Range of Colorado’s Rocky Mountains, wedged between two National Forests, a Wilderness Area, and a National Park! America’s Continental Divide runs through this area, making it riddled with high mountain passes and peaks. These alpine trails include peaks over 13,000 ft. (4,000 m.) in elevation, making it a mountain running paradise, and the perfect setting for our camp. This camp is intended for experienced mountain, ultra, and/or trail runners, and will be focused on exploring this high-altitude environment. 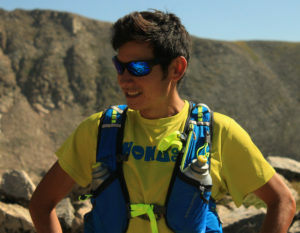 However, our camp can also be adapted to experienced runners who want to transition to running more mountainous terrain. All participants must be at least 18 years old, and should have some experience running or hiking at altitude to ensure everyone’s health and safety.